There is something so appealing and quaint about this area of the United States. Cape Cod mixes a unique feeling of colonial charm with that seashell-motif of New England beaches along this long and narrow strip of land protruding into the Atlantic Ocean. English colonists, Portuguese fishermen, beatniks, artists and retirees have each settled here in waves making the area diverse and interesting. This windswept land of sandy beaches and dunes has compelling natural beauty. During the summer you will find some of the most remarkable beaches in the world. The National Seashore National Park is known for its pristine landscapes and a vast unspoiled shoreline that stretches for miles. Everyone comes for the beach, yet there are more things to see and do there than you may realise: the local history is fascinating; there’s whale-watching right off the coast; cycling trails lace the landscape; cute shops abound, selling everything from antiques to chocolate; and you can dine on just-caught seafood, creative contemporary cuisine, or most anything in between. Cape Cod is located on the south shore of Massachusetts and is made up of fifteen towns and two islands. It is divided up into four sections commonly referred to as: Upper Cape, Mid Cape, Lower Cape and Outer Cape. Cape Cod is known for the beautiful white sands, rolling sand dunes, lighthouses, shorebirds, and the gentle waves of Cape Cod Bay. 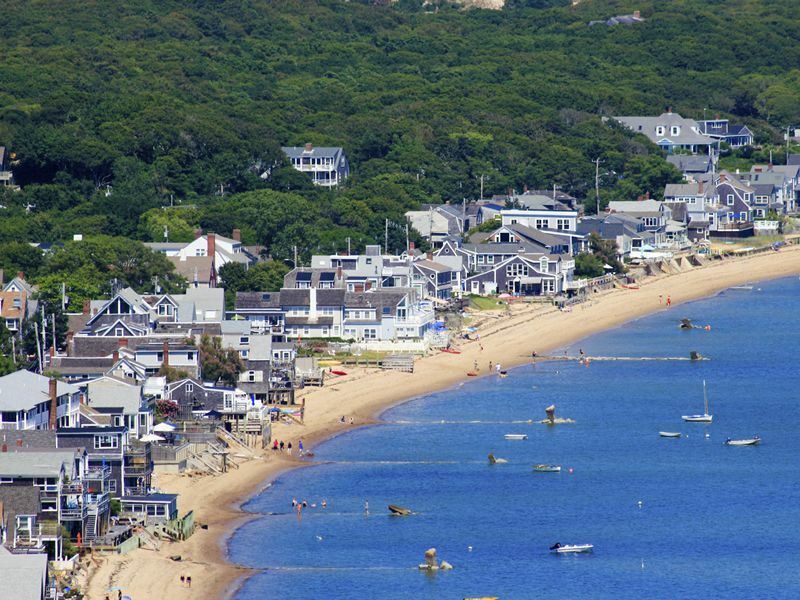 Every summer thousands of people flock to Cape Cod from all over to take in the beautiful views and beaches of Race Point, Rock Harbour, Sandy Neck, and other favourites across the Cape. There really is a beach for everyone depending upon your tastes. Nauset Light Beach and Coast Guard Beach, both set within the Cape Cod National Seashore, are the quintessential beaches. Combining serious surf, sweeping expanses of sand, magnificent dunes, and mesmerizing views, these spots deliver on the wow factor. Nauset Beach boasts clean, soft sands, beautiful views, and some of the biggest waves on the East Coast. The fee for the beach is expensive, so you’ll want to spend the entire day there. Pack a lunch and bring a cooler. Race Point is most remote beach on the Cape, and has an incredible view of Stellwagen Bank, the marine sanctuary in Massachusetts Bay. If you’re lucky, you might be able to spot a whale or two off the coast with the naked eye. Rock Harbour has some of the most unique scenery for a Cape Cod beach. Pine trees line the harbour and then head out into the water. At dusk, you can catch a glimpse of one of the best sunsets on Cape Cod on one of the few western facing beaches. Get there early if you plan on seeing the sunset, as it tends to get crowded in the summer. Aptly named Lighthouse Beach is located at Chatham Lighthouse in Chatham. While the water might be a little cooler and rougher on Lighthouse Beach than the south facing Nantucket Sound beaches, it’s the experience and scenery that makes this very white-sand beach great. Across the water, you can see the beginning spits of Monomoy Island, home to seals that visit the island. 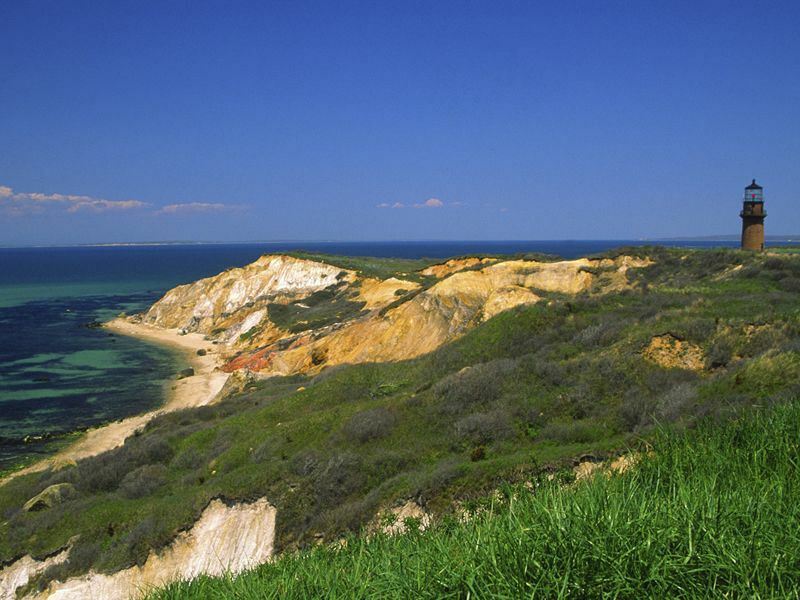 A trip to the Cape would not be complete without a visit to its smaller neighbours, Martha’s Vineyard and Nantucket. Both islands are accessible by ferry from Woods Hole and Hyannis respectively, and are popular for their natural beauty and charm. 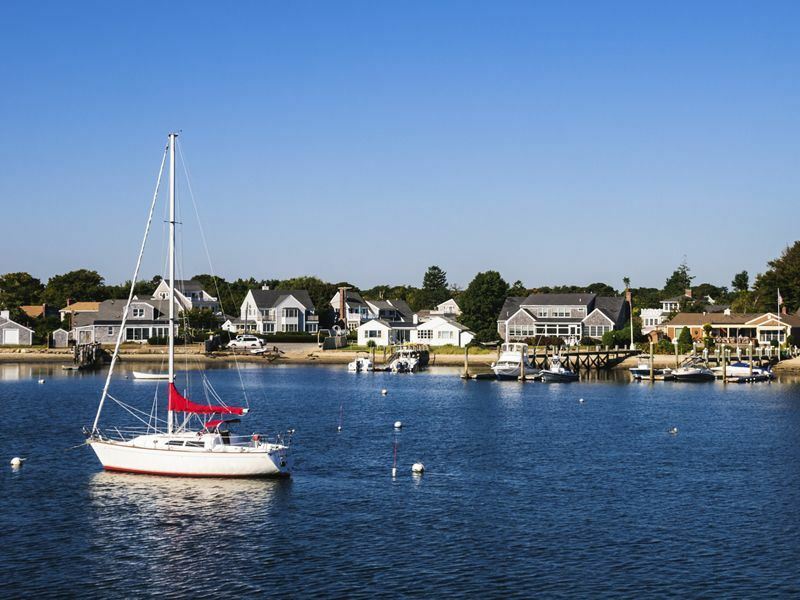 Cape Cod has many varied activities on offer to suit a variety of different tastes: from cosmopolitan boutique shopping areas like Hyannis, to the gentle pursuits of golf on one of the island’s quality courses, to hiking, biking, and fishing. For even more “Americana” catch a double feature at the Wellfleet Drive-In, which has a full-service snack bar and playground for the kids. On Sunday mornings, you can come here for some unique finds at the Wellfleet Flea Market. Hiking is popular with tourists, and many enjoy the variety of good hiking and biking trails throughout Barnstaple. Even the inexperienced hiker can enjoy a brisk walk on Fort Hill Trail, a 1.5-mile loop that runs across fields, through oak and cedar forests, and along the edge of Nauset Marsh. The trail also connects to the half-mile-long Red Maple Swamp Trail, which takes you through the wooded forest. The Atlantic White Cedar Swamp Trail is an easy 1-hour or 1.25 mile-hike through wooded canopies. 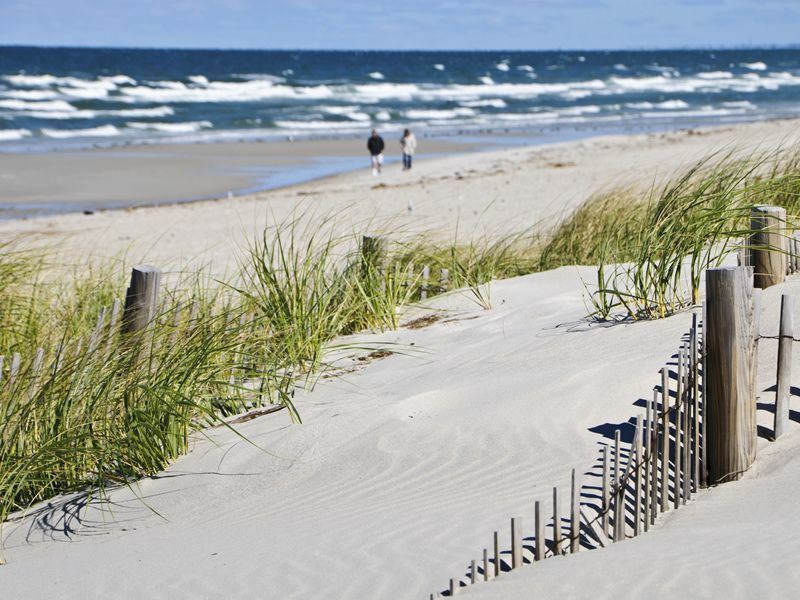 Adventurers can bike the sand dunes along the beaches – those lining the shores of Provincetown being the most popular. Hyannis is also an eco-tourism destination with natural wildlife and conservation areas including the Sandy Neck Great Salt Marsh and the Cape Cod Pathways Trail. At Monomoy National Wildlife Refuge in Chatham, you can see a variety of wildlife, including the piping plover, at this 7,600-acre refuge. Ten lighthouses dot the shoreline. Take a free tour of the Chatham Lighthouse, the Nobska Light in Woods Hole or Race Point Lightin Provincetown. Barnstable is the largest town in Cape Cod with 50,000 year-round residents. There are lovely old mansions to gawk at and many restaurants to try. Chatham is a true New England village with a charming main street chock-a-block with antique shops and cafes. The peninsula is rich in culture and has a number of museums and galleries including the John F. Kennedy Museum in Hyannis. The museum has a multimedia exhibition dedicated to preserving the memories of JFK and his family, who have a close association with the area. Afterwards, enjoy a cold beer at the Cape’s only brewery, Cape Cod Beer. Famous for its world-renowned and succulent namesake oysters, Wellfleet is a tranquil community that many artists and writers call home. Less than two miles wide, it’s one of the most attractively developed Cape resort towns, with a number of fine restaurants, historic houses, art galleries, and a good, old Main Street on which to stroll down. The oldest town on Cape Cod, Sandwich, was established in 1637 by some of the Plymouth Pilgrims. Today, it’s a well-preserved, quintessential New England village with a white-columned town hall and streets lined with 18th and 19th century homes. Provincetown, at the very tip of Cape Cod, is known for its natural resources, eco-tourism, and the first landing place of the Mayflower Pilgrims in the New World almost 400 years ago. Sometimes called “P-town”, the town is known for its beaches, artists, tourist industry, and status as a holiday destination for the gay community. Commercial Street runs along the harbour and boasts shops ranging from surplus stores to quiet galleries to old saltwater taffy candy shops, like Cabot’s Candy. In Cape Cod, sometimes the best plan is to enjoy the sea air and take it easy. But if you want a more planned holiday and don’t want to miss anything, there are different Cape Cod tours you can take. The variety of accommodations here are endless. You stay in a Cape Cod resort or smaller family-owned B&Bs for that local charm. Either way, everything is easy to get to by car and it’s definitely worth it to take a drive up and down the Cape.